Since I last wrote, a relative who tried the Solgar Liquid B12 w/B-Complex had a histamine reaction that put her in the hospital. I don’t know if she’s got Lyme, but there’s a good chance she has MTHFR since I can see multiple symptoms in both sides of my family. It’s the 4th time she’s had a severe enough case of hives and tongue swelling to seek medical attention, so the first 3 times didn’t have anything to do with the sublingual Solgar B12. There’s also a chance that this 4th time was unrelated to the supplement, as she is prone to histamine reactions, but it got me thinking, “Why?” That’s just how my mind works, LOL. PLUS, I’d been feeling better since starting on the B12, except for sleeping. Another person I know (no relation) started sublingual B12 and told me she’s been feeling a lot better, mood-wise (I have too! 🙂 ) AND she’s been sleeping so much better. Hmmm… Could I be having an adverse reaction, too? It was an eye-opener that made me ask a lot of questions in forums about B12 and histamine reactions. Turns out, we aren’t the only ones!!! At first, I was focused on B12, itself. It’s supposed to LOWER histamines in the body and help with allergies. So, I was very confused as to why my some people, my relative and I had problems… Her doctor even told her it couldn’t be the B12, when she told him that was the only thing that she had started taking recently. Regardless, I suggested that she stop taking it until we figured out what was going on, just to be safe- above all else, DO NO HARM, right? I couldn’t live with myself if she ended up having a life-threatening allergic reaction, as one of her previous episodes has been! It wasn’t until then that I realized my sleeping issues were so much worse, and I had chalked that up to having extra energy. Plus, I’ve been researching B12 and MTHFR for hours a day, like I always do, often into the wee hours of the night. It’s been hard to shut my mind down, before, and insomnia has been one of my main issues (and it’s very common with both MTHFR and Lyme). This is the only organic sublingual (if you spray it under your tongue) that I’ve found to replace the other two in my last post that I can no longer recommend. I even contacted the company to make sure the “Organic Natural Raspberry Flavor” isn’t really something altogether different. Without the word “organic” I wouldn’t use this product, but they still had to assure me that there was nothing in that listing other than organic raspberry fruit or juice. From researching MSG before, I do understand that organic products by definition should not contain it, unless it naturally occurs in the food itself. So far, I am starting to sleep better, so we’ll see how it goes, as I get the other gunk cleared out of my system. Just sharing here in case anyone else has a bad reaction. If so, it’s more than likely not the B12 itself, as even in high doses it’s considered to be non-toxic. It does pay to read the fine print on not just our food, but our supplements, as well. The bottom line is that having Lyme can cause us to be sensitive and react badly to many foods and chemicals that most people show no reaction to. 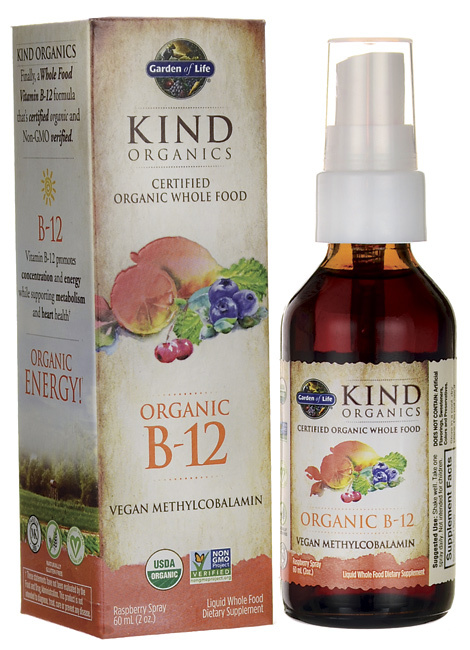 B12 deficiency, from what I’ve read, can make histamine levels rise and exacerbate allergies and asthma. Associated with both (and chronic infection in general), low adrenal function ( adrenal exhaustion/fatigue) can make this worse since cortisol, aka adrenaline, helps to control histamines and inflammation in the body. MTHFR, which causes the body to not be able to use B12 (and properly AND causes immune system dysfunction (as does Lyme), also causes detox issue due to under-methylation. It makes sense to me why I am so sensitive to chemicals in my food and the environment! When I get my MTHFR results, I’ll know for sure. The lesson here is that it pays to read the fine print!